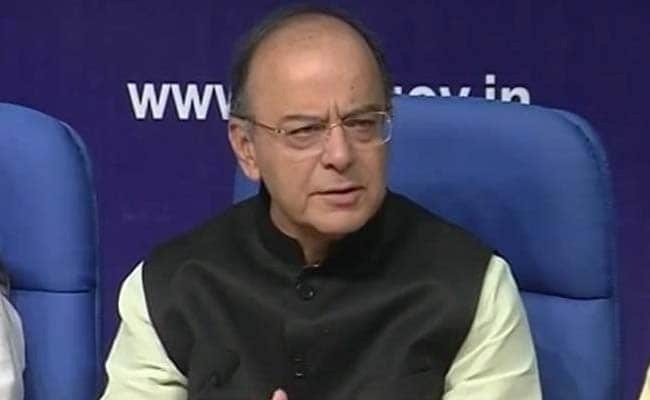 New Delhi: Finance Minister Arun Jaitley today asked Jammu and Kashmir to roll out GST from July 1 as failure to implement it will lead to "adverse impact" of price rise and put local industry at a disadvantage. In a letter to Chief Minister Mehbooba Mufti, Mr Jaitley said that the state has actively participated in the GST deliberations and should join the nation-wide wide roll out of Goods and Services Tax from July 1. The Union Finance Minister listed out the disadvantages of the state not introducing GST from July 1, saying it may lead to adverse impact like a general increase in prices of all goods being purchased from other states. Mr Jaitley said since Integrated GST (IGST) will be levied on all inter-state supplies of goods and services, credit for goods purchased in one state can be claimed in the state where it is sold. "If the state of J&K does not join GST on July 1, 2017, for all purchases made by the state from other states after July 1, the dealer shall not be able to take credit of this IGST which shall get embedded into the price of purchased good or service, leading to cascading of tax and increase in price of the said good or service for the final consumers in J&K," Mr Jaitley wrote in the letter. Mr Jaitley urged the Chief Minister to "take all necessary steps" to introduce GST in the state on July 1, as any delay "would create a disadvantage for both, the consumers and the industry" of the state in the intervening period. Jammu and Kashmir, he said, had actively participated in the GST Council meetings and had meaningfully contributed to framing of the various laws and rules for GST. The 14th meeting of the GST Council was held in Srinagar on May 18-19 in which rates of over 1,200 goods and 500 services were decided. In his letter, Mr Jaitley urged the Chief Minister to send the concurrence of the state on the GST Constitutional Amendment Act, 2016, for the approval of the President. As per Article 370 of the Constitution, amendments made in Constitution of India are applicable to Jammu and Kashmir with the concurrence of the state government and approval of the President.